Suitable for fitting most handlebars from 7/8" to 1" with an internal diameter ranging from 17.5mm to 21mm with the use of the include half shims. 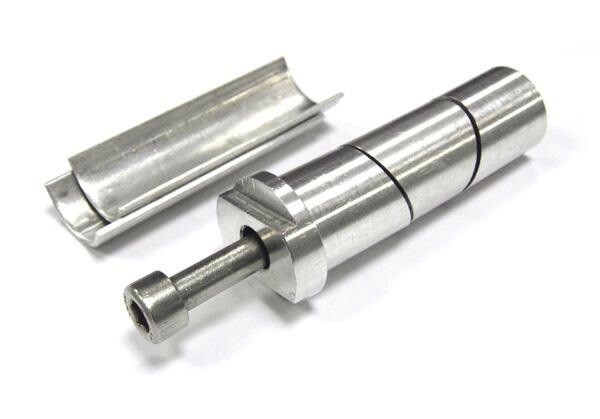 This fitting is for the Halcyon bar end mirror , it fits inside the handle bar and and when tightened the angled edge draws the components tightly against the inner surface of the bar. The Fitting has been recently re-developed to now be suitable for all handlebar sizes ranging from 7/8 to 1 inch diameter .